[Satnews] Space Systems Loral (SSL) announces that Payload Manager, Jennifer Salmon, was honored by the Society of Satellite Professionals International (SSPI) as a future industry leader. 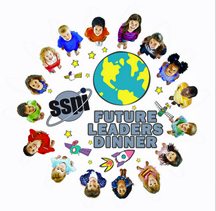 The award, which recognizes young satellite industry professionals for outstanding achievement, was presented at the annual Future Leaders Dinner, which took place on November 10 in conjunction with the SATCON 2015 industry conference in New York. Jennifer Salmon joined SSL in April 2006 as a Test Verification Payload Engineer after graduation from California Polytechnic State University, San Luis Obispo in California. She rapidly progressed from her role as an individual contributor and valuable team player to a Section Manager for the Payload Systems Engineering group. Having gained the full end-to-end experience from design through test, Jennifer was then promoted to Payload Engineering Manager as one of the youngest individuals ever to take on this role at SSL and is now managing the payload of one of SSL’s most complex satellites.